Whiskware has come out with some ingenious products to help dad make preparing meals a little easier. 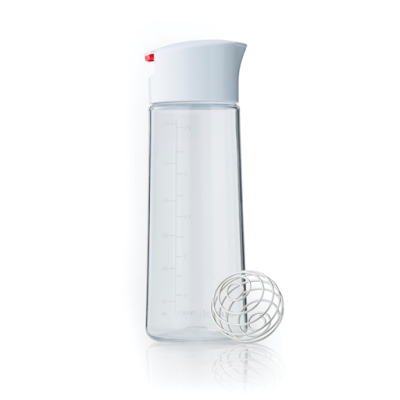 We have recently reviewed the Whiskware Dressing Shaker, it's easy fellows no sweat! 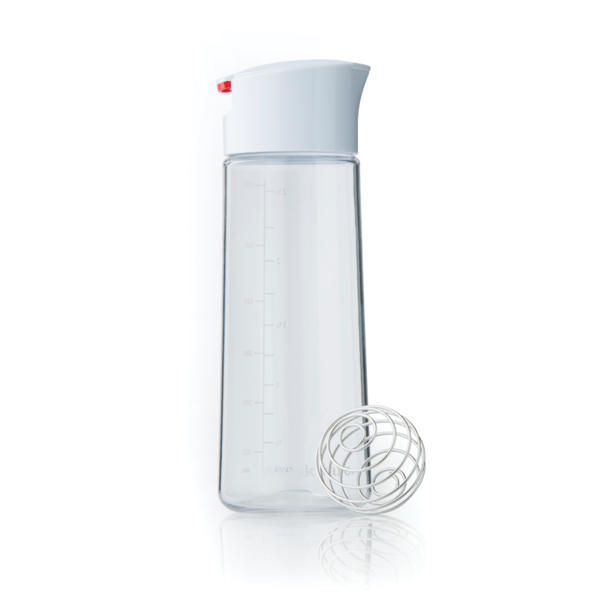 The Whiskware Dressing Shaker will whip up fresh homemade salad dressings in just seconds. This uses the patented BlenderBall Wire Wisk to mix as you shake. The design of this dressing shaker is stylish, functional and table ready. It is easy to use and easy to clean. The base lid doubles as a stand, and will keep things steady while you add your ingredients. It has an easy open and close spout with a press of the finger. The auto closing leak free spout will give you peace of mind. There are printed markings on the cup that make it easy to measure ingredients. Whiskware brand products are designed and manufactured by the BlenderBottle Company, the worldwide leader in portable mixing and owners of the BlenderBottle line of health and fitness products. Established in 2000, the BlenderBottle Company manufactures innovative, high-quality products that simplify and improve everyday life. Whiskware brand products are designed to make cooking easier, faster, and healthier, so you can spend less time preparing and more time enjoying your meal. Whiskware brand products simplify and improve everyday life by making it easier to prepare and enjoy healthy meals. Their products help individuals move from cookbook to tabletop in a faster, easier manner. This would be great for the man in your life or your father. One of the best things about this product is the simplicity. I know my dad isn't real great in the kitchen, he needs gadgets that are simple. This is perfect for him. Not only is simple for him to use it can help add a healthy element to what he is eating. Not only that while preparing food as a family you have more time to talk laugh and bond when the gadgets your using are easy to use and easy to clean. Whiskware brand products are designed and manufactured by the BlenderBottle Company, the worldwide leader in portable mixing and owners of the BlenderBottle® line of health and fitness products. Established in 2000, the BlenderBottle® Company manufactures innovative, high-quality products that simplify and improve everyday life. It looks like a nice kitchen product that will really help us to prepare our food more easier and faster. And I am sure those Dad who will want to help their wife in the kitchen will definitely love it. Wow..what a great product. I love this. I totally want to try it out for my husband. I love the look of this, it would make being in the kitchen so much easier. I am all for anything that makes life easy, and you are right it would make a lovely fathers day present. This looks like a great kitchen must have. This looks like such a cool product! Such a simple tool to make life easier. I love homemade dressing as opposed to store bought. What a fun kitchen gadget! I know so many people who love their blender bottles, I bet this is just as amazing. Thanks for the great father's day idea! Now that is a sweet gifty. A batter mixer makes some recipes so easy!